Pregnancy can be a confusing time and we rely on midwives to look after both us as mothers-to-be and our unborn children. I have realised through my two pregnancies just how different midwife care can be though and how much difference it makes to me as a mother. During my first pregnancy, I saw my midwife a few times. I had appointments at 16, 25, 33 and 38 weeks, none of which lasted much longer than 3 minutes. I entered the room where the midwife proceeded to silently take my blood pressure, check my urine and listen to the heartbeat of baby before giving me a new date and sending me on my way just as confused as to what was going on as when I went in. I never once got asked how I was feeling, whether I had any questions or whether I was comfortable with the care I was getting. Being my first experience of pregnancy though, I knew no better. For my 38 week appointment, I had a cover midwife as my usual man was off sick. As soon as I entered the room it felt different and I was met with a smile and asked how I was feeling. This change in approach took me back but I immediately felt relaxed and like I would be able to talk to her. She asked how old my first child was and was met with a very odd expression on my face - other child? The reason for my scarce appointments was the mistakes on my notes which the initial midwife had never checked or verified but taken as fact. She then measured me, read my notes and asked how my growth scans were going - again the shocked face as I confided that my midwife had never mentioned a problem or need for them despite me mentioning to him after my 20 week scan that baby was off the scale on all measurements and I was worried. She was a lovely woman, put my mind at ease and organised emergency growth scan and GTT for the next day. It was my first appointment to break the four minute mark! I realised what midwife care should be. My hospital experience was fantastic and I could not fault the team there. I had a student midwife and her supervisor and they were calm and friendly leading to me having what I can almost describe as an enjoyable birth experience. This pregnancy I am unfortunate enough to have the first midwife again, and as I felt like I know what I am doing with this actually being my second child, I have not asked to swap. I have been much more forceful with any questions although he is still incredibly evasive with his answers. I am lucky that the pregnancy is progressing smoothly and that at my appointment today I had a cover midwife. I realised again how different the different care can make you feel. Rather than coming away wondering what the point was when I am in and out within 3 minutes, I left feeling positive that I was being looked after, that they would keep an eye on my worries and that everything was going well again. This midwife wants to see me every two weeks until my due date as she thinks it is an important time and I am more than happy to oblige! This time round I am hoping to give birth in a newly opened midwife led unit in my local hospital. Out of all the midwives I have met, there is only one that I have found unhelpful and unfriendly and I am just crossing my fingers that he is not on duty at the MLU when Squish decides to make an appearance! How was your midwife care? Did they put you at ease or make you more nervous? I am hoping that my experience is the minority! Midwives definitely make a huge difference. For my antenatal appointments with the little guy, I never saw the same midwife two times in a row so there was little to no continuity of care. With the little lady they had drastically changed the system and I saw the same midwife for every single appointment. She became a familiar face, she remembered me and details of how things were going and it definitely made me feel safer. The same goes for the effect midwives can have on your labour. I came across a very patronising and unsympathetic midwife in labour with my little boy and I ended up feeling terrified and alone. When I was transfered to another hospital (and another midwife) the change was huge, that midwife turned around my experience and managed to help me come away from his birth with positive feelings which the 26 hours of bad care could so easily have ruined. Sorry to hear about your experiences with your main appointed midwife. That is a real shame. I take in the UK you don't get to choose who you are assigned to then? Here in Berlin, we choose our midwives (as long as the one you want is available of course) and I feel very lucky about that. I adored my midwife first time around and I wrote a blog post a good while back about her and my appreciation for all she did for me. A good midwife can make such an amazing difference and my midwife not only supported me physically but also a great deal emotionally and we are still in contact almost 4 years on. This time around I was looking for a special type of midwife because of the birth trauma I went through last time so I couldn't go with my previous midwife. I did ask her advice though. In London I didn't see the same midwife twice and my care was led by my GP who also missed a growth issue until I raised my concerns at 38 weeks. I was supposed to have an MLU birth but this meant I had to go to the labour suite. One of the midwives there was horrid and waited until I passed out to put a drip in my arm that I'd refused to have. Next time round, I had the same midwife throughout and she was amazing. 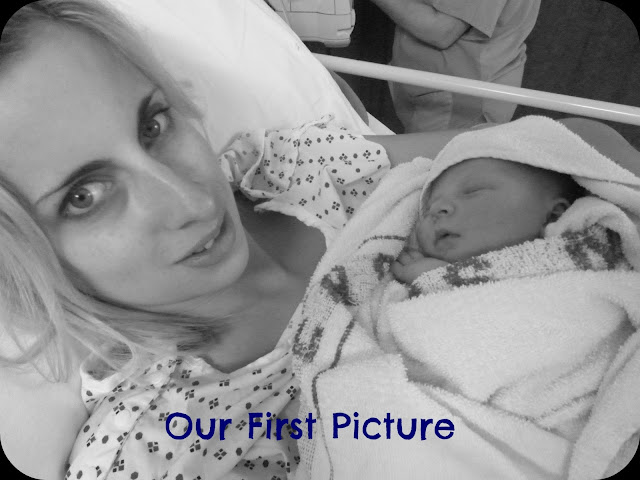 I was devastated when I couldn't have my planned home birth, but this time round, the hospital experience was ok thankfully! I hope the MLU works out for you and look forward to hearing all about it! I know we have spoken before about your midwife, it is such a shame. I have been lucky that all the ones I saw with Mads, both during the pregnancy (when I saw two on rotation) and after I had her were all brilliant and so nice. This time I have seen the same one I saw with Mads which has been lovely. It really makes a difference doesn't it. I switched due to a house move and my new midwives (I saw about 3 different ones) were really friendly and informative compared to my original one. I even got to hear my second baby's heartbeat on more than one occasion and I'd not had that offered to me first time round. I wasn't as confident in my original Midwives abilities and unfortunately I was proven right when she gave me shocking breastfeeding advice which caused me to stop before I needed or wanted to (I should have listened to my instincts). I really hope you have a lovely Midwife for the birth, I was positively doing backflips (well in my head in between contractions) when the loveliest Midwife I have ever met walked in to look after me and it made a huge difference. It's nice to know they are interested in yours and your little one's wellbeing and will look after you both. How gorgeous do you look straight after birth?! I had lovely midwives throughout although my surgery's midwife palmed me off a little when she discovered I was diabetic (already, not gestational) and got me referred to the diabetic maternity unit for a midwife there instead. I adopted my first child, but amazingly ended up in labour with the midwife who had been involved in his delivery too (at different hospitals), so although my children both came to me in different ways, they shared the same midwife. Overall I was very impressed with my care, but did have some problems on the ward after with the midwives being so busy, they didn't have much time for me...and weren't very sympathetic when I had problems breastfeeding. Not sure I would describe it as gorgeous but I was full of all the endorphines you get from holding your baby for the first time! That is so strange that the same midwife delivered both - they were obviously meant to be siblings from the beginning! A midwife can make loads of difference. I hated it with my 2nd but my third was really good and the birth was then a lot easier, and I felt more confident. Am glad it's going well for you this time and good luck with having the birth you want. Thanks for popping over. I do think the right midwife can be really en-powering and I was lucky to have such great ones at my first birth. Fingers crossed for this time! I'm over from Blow Your Blog Horn,I had a lovely midwife with my first.She was divorced and never had children.Just after my 20 week appointment she went on a course and I then had the midwife from hell.She had children of her own but was uncaring and well over the top when it came to my alternative ways of coping with my back problem ( I suffer from scoliosis).She even accused my chiropractor of causing my son to go transverse at 36 weeks.But it wasn't and my chiropractor even got him to turn.I had her for my second baby, again after 20 weeks as the first midwife was sent on course.With my third I was hardly ever seen as they feel they don't need to see you as often.They were very good when I complained about my SPD pain and got me referred to see a physiotherapist who gave me a maternity belt.If you feel you aren't getting the care you need and deserve I would say something.It's not right to feel like no one cares during a time when you're feeling so vulnerable.